This beautifully REMODELED Mediterranean-inspired home offers a tranquil retreat just minutes from downtown Palm Springs. Offered TURNKEY FURNISHED, it's an ideal property for VACATION RENTAL, a Corporate Retreat or as a VACATION GETAWAY for the entire family. The interior boasts 5 BEDROOMS, 4 BATHS, an INDOOR SPA & SAUNA, private pool-side CABANA with gorgeous MOUNTAIN VIEWS, updated kitchen and baths, and NO CARPET anywhere. This property will not last so CALL TODAY to schedule a showing! 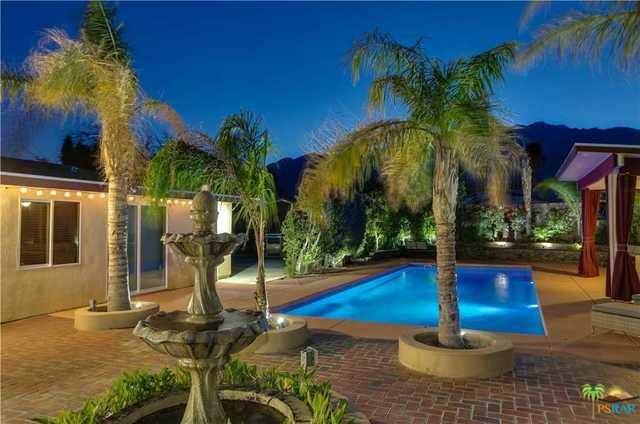 Your new Palm Springs HOME awaits you!